Dubai, UAE, 2018-Sep-11 — /Travel PR News/ — In response to increased demand for travel during the autumn school holidays, Emirates today (10 September 2018) announced it will operate its A380 between Dubai and St. Petersburg, temporarily replacing the Boeing 777 aircraft currently operating on the route. The Emirates A380 is renowned for its First Class Private Suites, Shower Spas and Onboard Lounge for First Class and Business Class passengers, offering a wide range of drinks and canapés, as well as space to socialise or simply relax. Customers travelling on the main deck in Economy Class can enjoy comfortable seats with a pitch of up to 33 inches. Passengers in all classes can indulge in the 13 time award-winning ice in-flight entertainment system with a choice of up to 3,500 channels on-demand, including Russian content. All customers can enjoy free Wi-Fi and stay connected throughout their journey. As with all Emirates flights, passengers can enjoy the generous baggage allowance of up to 35kg in Economy, 40kg in Business and 50kg in First Class. Emirates Skywards, the award-winning frequent flyer programme, offers four tiers of membership – Blue, Silver, Gold and Platinum – with each membership tier providing exclusive privileges. Emirates operates the largest A380 fleet with 104 aircraft in service and another 58 pending delivery. St. Petersburg is known as the ‘Venice of the North’, offering a wide range of museums, theatres, palaces and parks. Its historical centre is listed as a UNESCO World Heritage site. Customers travelling to St. Petersburg in October can also witness the visual spectacle of the opening of the bridges on the Neva River. Passengers flying with Emirates can stop over in Dubai for a few days on their way to one of over 160 destinations. Dubai offers everything a visitor could want, from shopping at some of the largest malls in the region to dining options which will spoil anyone for choice. Visitors can also enjoy beaches, family-friendly hotels, theme parks, and even ski slopes at the Mall of the Emirates. Having become the fourth-most-visited city in the world, Dubai is known for its eclectic mix of offerings, from futuristic architecture to vibrant traditional culture. 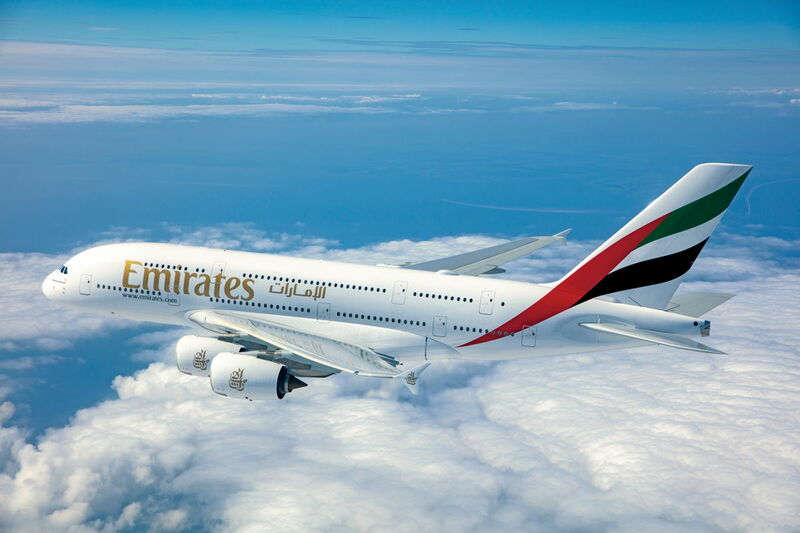 Emirates remains committed to the Russian market, operating to both Moscow and St. Petersburg. The airline has recently announced plans to launch a third daily flight to Moscow Domodedovo airport starting from 25 October 2018, in response to increased customer demand for travel between Russia and the UAE. Emirates first started operating to St. Petersburg in November 2011. *According to summer schedule, which finishes on 27 October. There will be a slight change of timing during winter schedule, which commences on 28 October. This entry was posted in Airlines, Airports, Flights, Holidays, Travel, Travel Services, Travelers and tagged A380, autumn, Dubai, Emirates, flights, Holidays, St Petersburg. Bookmark the permalink.